Question 17: You bear witness that Almighty God is God of the last days appearing and working, and you say that your belief in Almighty God is seeking truth, and walking the correct path of life. From what I know, however, many of the people who believe in Almighty God are like those missionaries of Jesus, who for the purpose of spreading the gospel and bearing God’s witness, did not hesitate to abandon family and career, and gave body and soul for God. Among them there are many young people who don’t get married, all doing their duty in following Christ of the last days. What I am saying is all true, isn’t it? Perhaps you are not aware that, because of you leaving family and work to spread the gospel and bear God’s witness, there are ever greater numbers of people who believe in God. If the whole human race turned toward God, who would still believe in the Communist Party, and follow the Communist Party? Precisely because of this, the government suppresses and arrests you. Can there be anything wrong with this? Mainly it is because you believe in God in this way that so many people have been arrested and sentenced to jail, and that so many people have to leave home and flee. So many husbands and wives have divorced, and so many children have no parents to love them. There are so many elders who have no one to care for them. By believing in God this way, you have caused your families to suffer such hardship. What are you trying to achieve? Could it be that this is the very correct path for human life of which you talk? Our traditional Chinese culture attaches most importance to filial piety. The saying goes: “Of all virtues filial piety is most important.” Confucius said: “While your parents are alive, don’t travel far away.” Showing respect to parents is the foundation of human conduct. Believing in God, and following God the way that you do, unable to care for even the parents who gave you life and nurtured you, how can this be considered a correct path for human life? I often hear people say that believers are all good people. This is not false. But all of you believe in God, worship God, and venerate God as great. This has caused the Communist Party to burn with anger, and to be full of hatred. You do your duty to spread the gospel, yet you can’t even take care of your own families. How can this be considered good conduct? What do you say, could it be that even this does not show that you have taken a wrong path in belief in God? By spreading the gospel and bearing God’s witness in this way, aren’t you destroying the harmony and stability of society? I plead with you to not persist in error. You should return to society as soon as possible, reunite with your families, live normal lives, and take care of your families well. You should do your duties as children and as parents. Only this is the foundation for human conduct; only this is the most practical. Answer: You repeat over and over again that we have gone the wrong way by leaving our families and careers to believe in God and do our duty to spread the gospel. What you say is wrong. As an atheist, can you explain clearly what the right course for human life really is? Can you see through to the origin of the darkness and evil in the world? Can you see why the human race lives in sin, and why it struggles in sin? Can it be that greed for enjoyment of sinful pleasures is happiness? 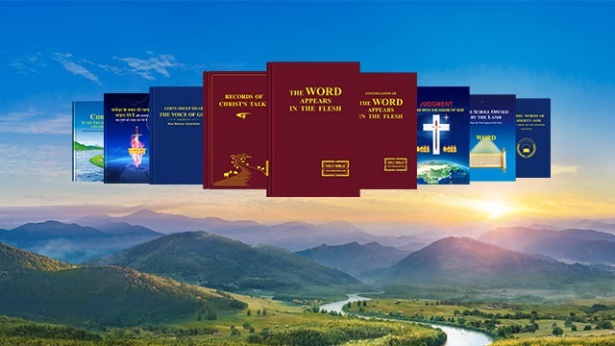 Now God incarnate has come to save the human race from sin, and has led the human race into the light, leading them into a wonderful destination. This is great and wonderful news for a corrupt human race! We are all human beings who have been corrupted by Satan We all should accept the work of God, and accept all the truths that God expresses. Only in this way can we attain purity, receive salvation, and gain a wonderful destination. Only this is the right, proper, and correct path of human life. How can you say that this is going the wrong path? According to your point of view, the disciples of the Lord Jesus who left their homes and work to follow and bear witness for the Lord, can it be that they were going the wrong path? Those missionaries of the West who left their dear ones and native land to travel far across the sea to China devoted their life's energy to preaching and bearing witness for the salvation of the Lord Jesus, some of them even losing their lives for it, are you saying that they were ruthless? They were carrying out God’s will in order to help people attain God’s salvation. What they did were benevolent actions; it was the most righteous of all human causes, completely in keeping with God's will. The Lord Jesus said, “If any man come to me, and hate not his father, and mother, and wife, and children, and brothers, and sisters, yes, and his own life also, he cannot be my disciple” (Luk 14:26). “And he that takes not his cross, and follows after me, is not worthy of me” (Mat 10:38). Over the past two thousand years, countless Christians have left their families and work to comply with God's wishes, to spread God's gospel and bear God's witness. It is precisely their unrepentant efforts that has caused the salvation of the Lord Jesus to spread to all corners of the earth. Today the Lord Jesus has returned as Almighty God, and expresses truth to do the last-days judgment work to purify and save the human race. The Christians of The Church of Almighty God, in order to help more people have a chance to hear the words of God, to accept God's last-days purification and salvation, and to enter into the wonderful destination that God has prepared for the human race, have left behind their families and work, and do all they can to preach and bear witness for the appearance and work of Savior Christ of the last days. Could this be wrong? This is completely in accord with the Bible, and in accord with God's requirements! You say that the reason that the homes of many Christians fall apart is because the believers put aside family and career to spread the gospel. Is this really how it is? 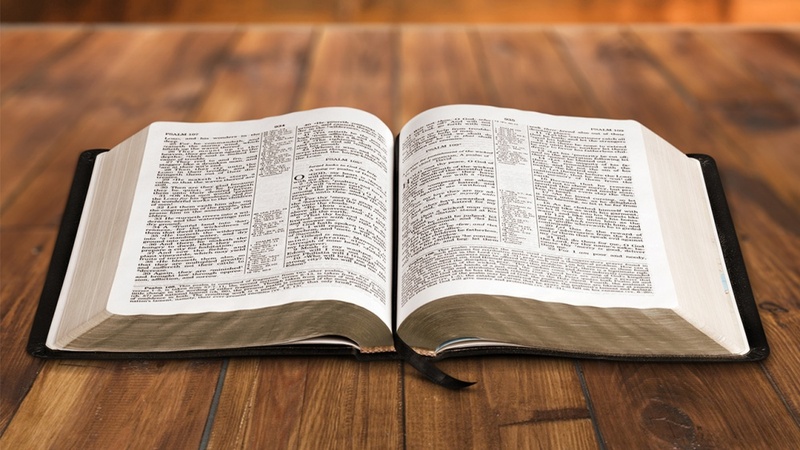 Everyone knows that since the CCP came to power they have persecuted religious belief, labeled Christianity a cult, and labeled the Holy Bible a cult book. They have wildly arrested and persecuted people who believe in God, which has led to countless Christians being put in jail, and countless Christians being maimed and killed. Who is really destroying families? Who is it that forces Christians to be unable to return home, breaks up their families, and separates their family members? Isn’t this whole tragedy caused by the Communist Party wildly persecuting Christians? When Christians in western democratic countries put aside family and career to spread the gospel and bear God’s witness, why is it that their families are not broken up? What is going on here? Why is it that in China, where the Communist Party rules, believing in God and spreading the gospel has become a grave crime? What country would have law like this? What kind of ruling party is this? I used to have a harmonious family, but Chinese Communist police learned that I was a believer, and came after me everywhere to arrest me. All I could do was flee. But the police would not let my family members be. Not only did the police keep watch on my home, and wire-tap our telephone, they even went to my daughter0ij-s school to stake out for my arrest, saying that by believing in God I was a political criminal. Because of all this, the teachers and students discriminated against my daughter, who ultimately was persuaded forcibly to quit school. That year my daughter was only 14 years old. How many times I thought of my child, and missed my parents, but did not dare to phone them for even a word! I passed my hometown so many times, but all I could do was look from afar, not daring to go home. The right to see my parents and child for even a moment was stripped away. Because of a warrant for my arrest, my husband’s work was implicated, and finally he divorced me. My family was torn to pieces. Ultimately whom is to blame? There is no one to care for my child and my parents. Who really is the arch-criminal? Isn’t it the Chinese Communist government? The Communist Party does whatever it takes to arrest and persecute believers, stripping away the right of believers to exist. They will not let up even on the family members of Christians. This is an intolerable injustice! The path that we believers walk is a correct path. Why does the Communist Party always tyrannize us and abuse us? Could it be that this is the “greatness, glory, and rectitude” of the Communist Party? The Communist Party wildly arrests and persecutes people who believe in God, which has led to the split of countless Christian families. Finally they make an unfounded countercharge, and say that the cause of every disaster is people believing in God, and say that Christians disrupt public order. Isn’t the Communist Party blatantly distorting the facts and confusing truth and falsehood? This really is so shameless! Previous：Question 16: You say that Almighty God is the appearance of God in the last days, and is the true way. You also say that it was God who created this world, and who rules over what happens in this world, that it is God's work that has guided and saved people all along. What basis in fact do you have for saying this? We Communist Party members are atheists, and do not recognize God's existence or God's sovereignty in the least. Even less do we recognize the appearance and work of God incarnate of which you talk. The Jesus in whom Christianity believes is clearly a person. He had parents, and had siblings. Christianity, however, absolutely requires that He be treated as Christ, and be worshiped as God. This is utterly inconceivable. 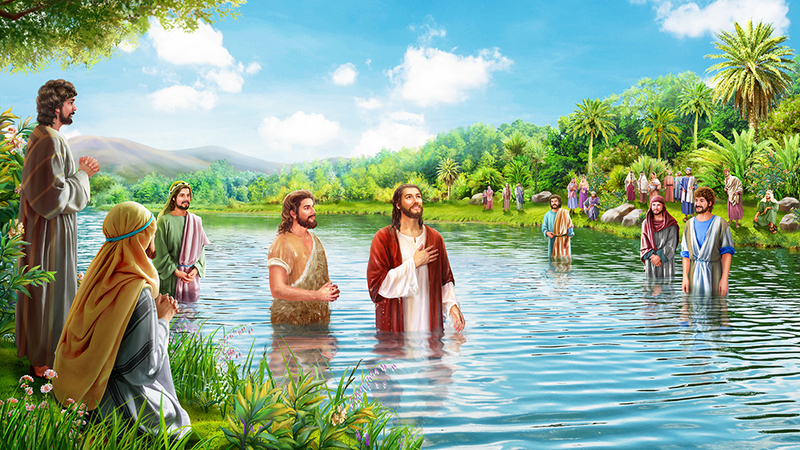 Almighty God in whom you believe is just like Jesus, clearly just an ordinary person. Why must you obstinately insist that He is God incarnate? Why must you bear witness that He is Christ Savior of the last days in person? Isn't this terribly foolish and ignorant? There is no such thing in this world as God. Even less does there exist a God as God incarnate. You obstinately say that an ordinary person is God incarnate. What is the basis of this? Are you all able to express the grounds and basis of your belief?